30th Time’s A Charm: Can Texas Democrats Win in 2014? Before any true goal can be realized, it must first be visualized, idealized, and then actualized. Over the last few weeks, there’s been a lot of buzz about the Texas Democratic Party… lots of talk about how it’s only a matter of time before Texas becomes a swing state. I’ve certainly done my fair share of prognostication too (See here from before the 2012 election and here for afterwards). But now in February 2013, has anything concrete taken shape to make this goal a reality? The current answer is… kind of. The biggest news out of Texas’ blue prospects is the creation of Battleground Texas, a left-leaning money group that is meant to help revive Lone Star Democrats. The group has pledged to put big money into the efforts, and have an aggressive media presence. If that is their true intent, it seems that they are off to a slow start. There is a website up, but it hasn’t had any activity since January 29th, and the site still lists as “Under Construction. Same for the Facebook page… no updates or activity. Of course, 2013 is not an “election year” in Texas, at least not for state-wide offices, but make no mistake that this is a critical time for political mobilization in the state. The Legislature is convened from now until June, and local elections will be held all over the state this November in cities like Houston. Without a Presidential or Gubernatorial race, it may seem like an off-year. But in my opinion, it’s anything but. Of course it’s not like a true Texan to wait around for someone else to get a job done. Texas Democrats are working hard to get ready for 2014 right now. Groups like the Harris County Democratic Party (Houston) and the Dallas Democrats have launched new websites geared for social media organizing, and are off to an impressive start in fundraising. In Harris County, the party is focused on holding year-round events and community efforts, to not only raise money for Democrats to stay competitive, but to keep voters actively engaged year-round. These are the types of cues that the national Democratic party should take in Texas. In order for this state to turn blue, it’s going to take serious grassroots organizing, just like we typically see in Ohio, Florida and the other “traditional” battleground states. The other essential factor for blue state success in Texas? Strong candidates. Thankfully, the Texas Democratic bench is looking stronger than ever before. 2014 will bring state-wide races for 3 critical offices… Governor, Senate and Lieutenant Governor. Eventhough some candidates like Julian Castro have decided to sit out 2014, there are still some very capable Texans that can compete in a state-wide race. 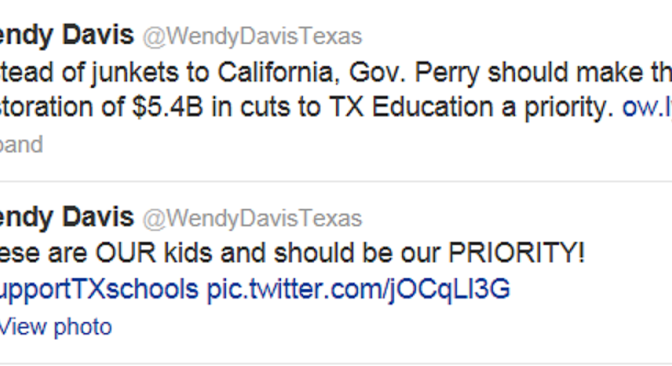 One person to definitely watch is State Senator Wendy Davis from Ft. Worth. In a swing district that voted for McCain in 2008 and Romney in 2012, Senator Davis defeated a Republican Incumbent for her first trip to the Senate, and won again in 2012. A tireless advocate for Texas public education, she has garnered much attention by mounting aggressive opposition to Republican lawmakers. If Ms. Davis were to run for either Governor or Senator, she has a serious shot, and is my TOP contender for 2014. Make sure to put her on your radar!! Houston Mayor Annise Parker has garnered an impressive record in her nearly two terms leading the nation’s 4th largest city. She has taken bold steps to help Houston weather the economic downtown, and now public sector employment is being restored. Houston has also been a national leader in job growth during the Recovery, and all signs point continued prosperity for the city in 2013 and 2014. Not only jobs, but Mayor Parker has also worked hard to improve the quality of life for Houstonians through massive investments in the city’s infrastructure, parks and bike trails. She’s managed to do it all through meticulous work on the city’s budget, and partnering with local business leaders. Though Mayor Parker has already committed to run for a third term, Texas Democrats can expect big things from her in the near future. Equally impressive at the local level is San Antonio Mayor Julian Castro. He garnered national attention last year after delivering the keynote address for the Democratic National Convention. Thanks to that, more Americans now know his name. But what they may not know is how hard he’s been working on behalf of the great city of San Antonio, whose voters not only re-elected Castro by a whopping 82 percent in 2011, but approved a landmark new early childhood initiative in 2012. Pre-K for SA establishes city-wide Pre-Kindergarten for all San Antonio kids, and is funded by city taxpayers. It’s sure to be a national model not unlike what President Obama mentioned in the 2013 State of the Union speech. Thanks to Mayor Castro’s leadership, San Antonio is getting is done. Texas Democrats… don’t be surprised if President Obama shows up in Texas soon. And if he does, expect Mayor Castro to be in the vicinity. For the moment, Castro has again committed to run for a 3rd (and final) term as Mayor of San Antonio. With such hearty commitments to Texas’ children, Wendy Davis and Julian Castro would make quite a team on a state-wide ballot. Mayor Castro’s twin brother is U.S. Congressman Joaquin Castro. Though he’s a freshman in Congress, Joaquin is no slouch to Austin politics having just finished a 10-year run in the Texas legislature. 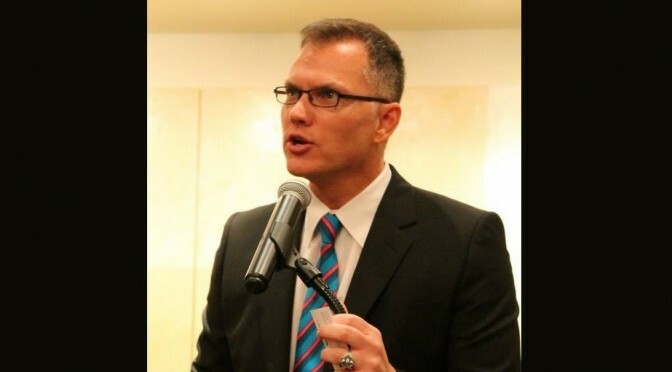 He’s built his political career on a solid record of bi-partisan accomplishments, and has lately become a very popular commentator with the national news media. As Immigration reform continues to be a hotly- contested issue on Capitol Hill, we should all expect Congressman Castro to be a key figure. That alone would be enough to put him on the radar for a state-wide office. I’ll be looking at more candidates later.